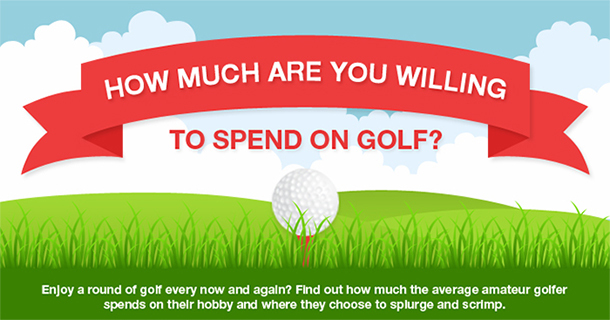 How much are you willing to spend on golf? Posted June 2nd, 2014 by admin & filed under Blog, Feature Articles. A recent survey completed by 13,000 UK golfers really does highlight how much you are willing to spend on your favourite sport! The survey gives an extensive insight into the preferred brands, lifestyle choices and average spending of the UK’s golfers. By taking a look at our handy infographic below, you’ll be able to see how your golfing activity compares to the rest of the UK. It is also estimated that 9 out of 10 golfers are inadequately insured, so it is important that your family and friends are covered. By Introducing a Friend to The Golfers Club, not only will they be safely covered, but you will also be eligible for a FREE GIFT once they have joined. We’d love to hear your thoughts in the comments box below. Do you spend more or less than the average golfer, or do you think another golfing brand deserves more credit? Don’t forget to share this on social media with your golfing family and friends and see what they think.